Blog Would You Believe There Are Four Electric Cri-Cri’s? Three electric MC-15 Colomban Cri-Cri’s have been flying for at least the last two years. 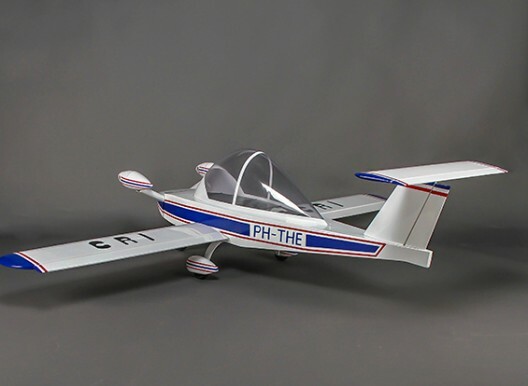 Jean-Luc Soullier created one which flew with Plettenberg model motors. Airbus crafted one with four Rotex motors and counter-rotating propellers on each mount. 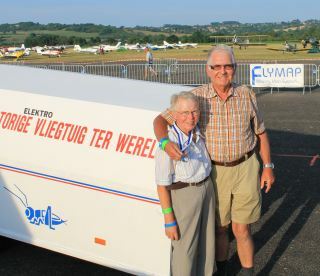 Anne Lavrand’s Electravia converted a Cri-Cri to use her motors for speed record attempts. 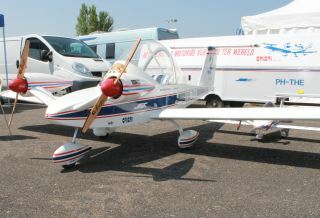 Now they are joined by the MC-15E built by Mr. Toon Jacobs and shown at the Federation RSA ( Network of Sport Air ) Rally 2013 in Vichy, France. The RSA, as one would guess, is the French equivalent of America’s Experimental Aircraft Association (EAA). Electravia provided the E-Motor GMPE 104 motors, controllers, E=Helices 370 gram (one pound, 13 ounces), 83 centimeter (32.7 inches) propellers and the E-Batts 3 kilowatt-hour battery pack. An Electravia E-Screen instrument monitors battery charge, temperature, and motor temperatures. 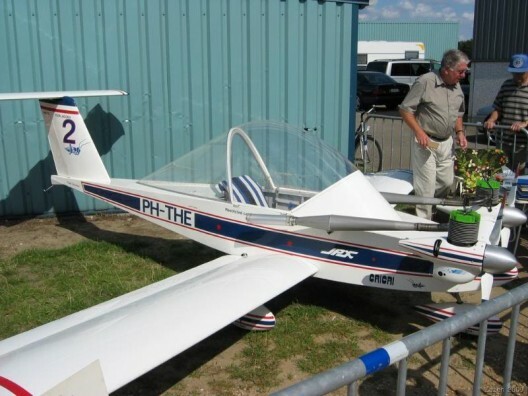 Powerplants match those developed in 2010 for Cri-Cri Yankee Delta in which Hugues Duval set a world speed record for electric aircraft before a huge crowd at the 2011 Paris Air Show. Lightweight aerodynamic fairings, also matching Duval’s record setter, fair the motors and controllers. With each developing 35 horsepower (26 kilowatts) at peak, the claimed duration of 25 to 30 minutes is probably not at full tilt. With the same setup, Duval was able to perform for about 15 minutes over Le Bourget. Mr. and Mrs. Jacobs received an award during the July 20 ceremonies for their outstanding amateur aircraft. This is not Mr. Jacobs’ first homebuilt, and has been around since at least 2004 with its original two-stroke engines. These were noted as being unreliable, and their vibration required frequent inspections of the stalks on which they were mounted, and for some craft, occasional replacement. The Toon’s airplane has acquired a bit of fame, with Hobby King kitting their airplane in ¼ size, one of which was displayed along with its big brother at Vichy. Anne Lavrand promises, “Soon new flights from Cri-Cri-THE PH!” Maybe the Jacobs will be going after Hugue Duval’s record?